How are foreign policy decisions made? This volume shows the various approaches to answer this question. 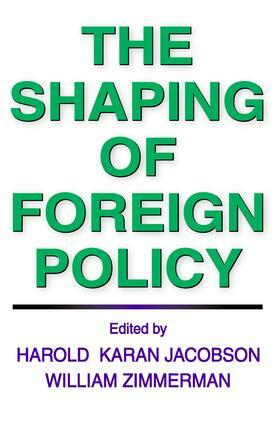 In their introduction, Jacobson and Zimmerman make clear the goals and techniques of the comparative analysis of foreign policy behavior and, following this, they provide seven basic essays exemplifying, with variations, the principal approaches used to explain foreign policy behavior: the systemic, the environmental, the societal, the governmental, and the idiosyncratic (or psychological). Jan F. Triska and David D. Finley illustrate the systemic approach as applied to Soviet-American relations. Harold and Margaret Sprout then deal with the significance of the physical environment in the study of international politics. Two essays follow--by, respectively, Karl W. Deutsch and Gabriel A. Almond--representing the merger of international and comparative studies in this field. The contribution by Henry A. Kissinger examines the relationship of certain governmental systems to foreign policy behavior. The editors' introduction and selections reflect excitingly and accurately the "state of the art" of comparative foreign policy analysis and place before the reader, in clear and compact form, the continuing dialogue among scholars about one of the most controversial areas in the study of political processes.